Spoken Language: English, Mandarin, Cantonese, Malay. A full-time vocalist since 2006. Had been a TV host in Jia Yu Channel. Singing mostly English, Mandarin, and Cantonese songs (oldies, 80s, 90s, and new hits). Some popular songs of other languages including Malay, Thai, Korean, Japanese and Hokkien songs. Performed with different style of band including, unplugged band, wedding band, sequence band, and Full band. 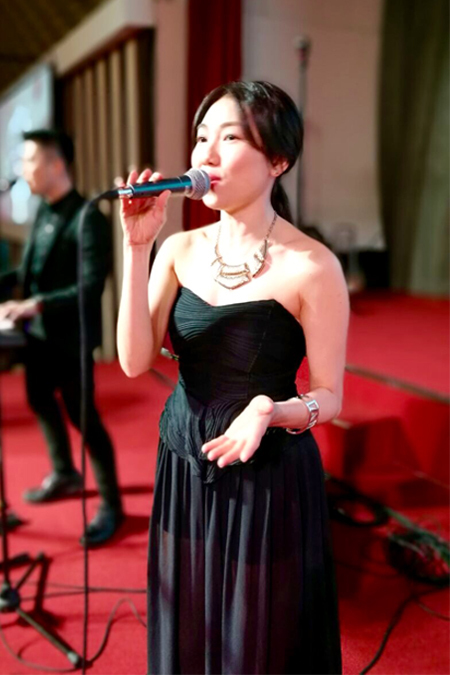 Performed in Wedding, Corporate Events, Casino ( Genting Highland ), Party, Café, Lounge, Pub, Club, and Restaurant.